Neeraj H. Panchal, DDS, MD, MA received his medical degree from the University of Texas Southwestern Medical School, where he completed an internship in general surgery, followed by training in oral and maxillofacial surgery at Parkland Hospital in Dallas. He earned his DDS from Columbia University College of Dental Medicine. In addition to seeing patients with general facial and oral surgical concerns, Dr. Panchal’s clinical interests include oithognathic surgery, obstructive sleep apnea surgery, bone grafting, dental implant surgery, head and neck pathology, reconstruction, craniofacial trauma. 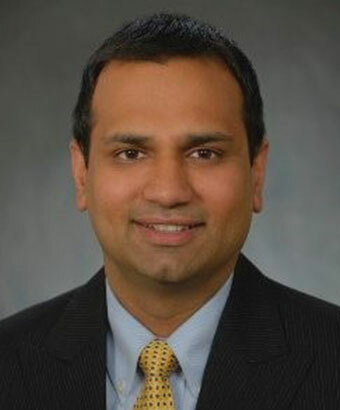 Dr. Panchal is a Clinical Associate Professor and Instructor at the University of Pennsylvania, Depanment of Oral Surgery/Pharmacology and also serves as Chief of Philadelphia VA Oral and Maxillofacial Surgery, Department of Oral and Maxillofacial Surgery/Pharmacology.